Home → Inspirational Stories → Slow Down! See, there are a lot of steps in soccer and, for non-auditory kiddos like Nate, putting it all together takes time, practice, isolated skill development, etc… My husband reminded me that I needed to be rooting for his personal gains and not worrying about the skills he still hasn’t mastered. We often compare our children to others’ as we live in a very competitive world. We must ask ourselves, “What kind of race are we in? And where are we going?” We all have our own vision of the outcome we desire for our children, but we must recognize that God’s desired purpose and plan for each child is different…and different is good. As parents raising a generation of children in a very competitive, fast-paced society we must be careful not to step in front of God and believe that our plans for our children are greater than His. 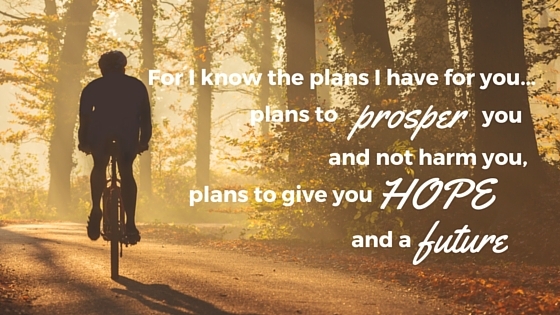 We must trust Jeremiah 29:11 that states “For I know the plans I have for you,” declares the Lord, “plans to prosper you and not to harm you, plans to give you hope and a future.” God loves our children more than we do. We need to trade out the time we spend worrying over them with time spent praying over them…and trust God, their creator, to reveal His promises for them. Let’s move at the pace our children are showing us they can handle, nurturing them in wisdom and truth while modeling Christ-like grace and love. Lastly, let’s all just slow down! Angie I absolutely loved this! Thanks for the reminder! God does have a much better plan than I! He has everything under control. It is so hard not to compare or want your children to always act appropriately. But the beauty is what I have learned from my children when they weren’t “acting” like the rest of the kids. I love my kids so much and wouldn’t change a thing.